Having a youthful, pleasant appearance is a quality that can have an incredibly positive effect on someone. A smooth and well-rested face is inviting and projects an image of vitality to the world. Signs of aging, exposure to the sun, stress, and certain lifestyle habits often compromise the life of the facial skin. These imperfections are best addressed with a facelift. During a personal consultation with MagicSurgeon Dr. Humberto Palladino, you can discuss your options for restoring a youthful glow to your face. Dr. Palladino will work with you to determine the best surgical technique for your goals and aesthetic needs. The incision is usually created along the hairline at the temples, runs behind the ears, and ends at the back of the scalp. Scars are hidden discreetly within the natural contours behind the ears and hairline. Underlying tissues and fat are repositioned, facial muscles are lifted, and excess skin is removed. 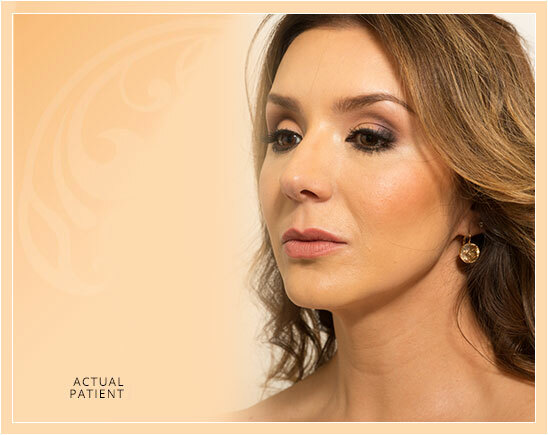 Traditional facelift offers the highest degree of correction and is best suited for patients with substantial skin laxity. The incision is shorter than that of a traditional facelift, resulting in a shorter recovery period, but it also follows the hairline and runs behind the ears. Scars are hidden discreetly within the natural contours behind the ears. Underlying tissue and fat are repositioned, and excess skin is removed. It is usually performed on patients with mild to moderate skin laxity. You will discuss your facelift goals and communicate your expectations clearly with Dr. Palladino during a personal consultation. He will describe the procedure and his approach, and together you will develop a treatment plan that addresses all of your concerns. 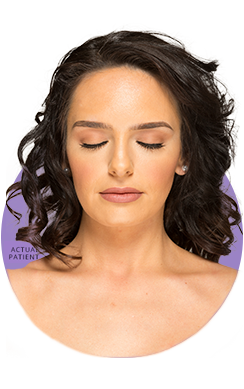 Dr. Palladino is an experienced plastic surgeon who uses a range of techniques to help patients achieve natural-looking results. With a surgical plan in place, Dr. Palladino will provide you with preoperative instructions to help you prepare for the procedure. You should not smoke any tobacco products for at least two weeks before the procedure. You will need to have a companion drive you to and from the surgery center on the day of your procedure and remain there to receive updates. Afterward, you will rest in the postoperative suite for a short period of time before you are released home with your companion. What should I expect for my recovery after a facelift? Recovery is not as extensive as you may assume. After the surgery, your companion should drive you home and help you get into a comfortable recovery spot, with food, beverages, entertainment, and any recovery aids that you may need (such as cold compresses and pillows). Swelling, bruising, and numbness are temporary and will subside within one to two weeks. You should follow all of Dr. Palladino’s instructions to make your recovery as smooth and speedy as possible, including attending all postoperative visits so he can check your healing progress. You will also need to refrain from strenuous exercise and any other physical activities for roughly one month. You can resume work and most normal activities two weeks after surgery. For three to four days, you will need to rest in an upright position. Most patients can return to work within one to two weeks following their surgery. Most major swelling subsides after six weeks. Around this time, patients can resume their regular workout routine with their surgeon’s permission. Your results should also be visible after six weeks. As long as you are in good health and have concrete, realistic goals for facelift surgery, you should make a suitable candidate. Dr. Palladino will meet with you to discuss your expectations and assess your needs before developing a personalized plan for comprehensive correction. The average cost for facelift surgery is between $2,000 and $15,000, including facility fees, cost of anesthesia, physician’s fees, and other related expenses. This cost varies according to the technique used and the extent of correction needed. Your anticipated expenditure will be given to you after your detailed one-on-one consultation with Dr. Palladino. The results from your facelift will become more apparent as the swelling begins to go down several weeks after the procedure. Depending on the technique used, results can last up to ten years. The final outcome is long lasting, but it is best maintained by adopting a healthy lifestyle free from smoking and overexposure to the sun. Can I combine a facelift with other corrective procedures? Those who choose to undergo facelift surgery may also combine it with other procedures. Facelift targets the middle and lower regions of the face, so it will not correct a sagging brow or droopy eyelids. For optimal facial rejuvenation, facelift surgery can be performed in conjunction with a brow lift, forehead lift, or eyelid surgery. For more information about facelift surgery, please contact MagicSurgeon Humberto Palladino, MD, FACS. Dr. Palladino would be pleased to meet with you to discuss your cosmetic goals and devise a personalized treatment plan. Please call us at (866) 624-7874 or request your one-on-one consultation online today.